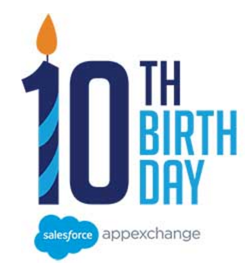 Today marks the 10th anniversary of the Salesforce AppExchange! Passage Technology has been following the AppExchange since its inception and way back in 2010 we started the journey of launching our first project management app, Milestones PM+. Launching this app helped us to learn the ins and outs of the AppExchange and most importantly what Salesforce customers were looking for. We heard from countless customers asking about project management native to Salesforce and it was at this point we realized the importance of the AppExchange to deliver specific categories of applications to clients who are looking to get more from Salesforce for a critical business function. This experience is what got us hooked on the platform and on delivering useful apps to customers. It wasn’t too long after launching our first app, that we launched our flagship app, Rollup Helper in 2012. Rollup Helper has contributed greatly to the success of the AppExchange, all Salesforce Customers, and to Passage Technology. Rollup Helper can be used by any Salesforce customer or partner to capture and rollup any embedded analytic with clicks and not code. Today, we’ve amassed over 50,000 installs of our suite of products, including Rollup Helper, Lookup Helper, and Milestones PM+. In honor of today’s big milestone, we’d like to share with you more of the story behind Rollup Helper. In the beginning, we had an implementation project for a client who needed to keep dates in sync for our project management solution. We reviewed all the options that existed at that time and the only valuable choice was to write custom Apex code. We thought to ourselves that there had to be a better way, and so we set out to solve this problem for one client and began to build-out the back-end of what was to be Rollup Helper. After we implemented the client’s rollup use cases using our solution and customized it as our client saw fit, we realized that every Salesforce customer could benefit from our rollup architecture and we began to invest in building out the User Interface as well as enabling all sorts of rollup functions for the tool such as SUM, MAX, MIN, AVG, TEXT, and COUNT. As soon as we launched our app on the AppExchange, we heard feedback from other partners and customers on how amazing our product was and how much of a gap it filled on the platform. In the weeks following the launch, we had to build up all sorts of business process capabilities that were new to us such as launching our website presence, support processes, and knowing how to help our customers learn how to use the product. Now today, Rollup Helper rolls-up ANY Salesforce data. It allows admins across the world to save time & be a hero for their organization! The app allows them to free themselves of having to implement custom code. We’ve heard amazing success stories from our clients who use Rollup Helper. We’ve been continually referred by Salesforce support for overcoming reporting limitations in Salesforce. One client, a large, well known American college runs their entire reporting through our tool. Large multi-national, billion dollar companies are working quickly to get our app in all of their orgs to help their admins to collect and report on various Salesforce analytics with our solution. We’ve even heard from many Salesforce admins how our app saved their bacon on what was turning into a long weekend heading into a big Monday reporting deadline. 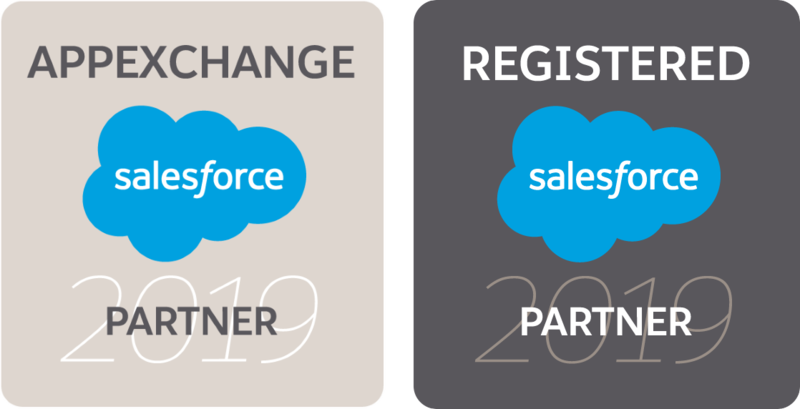 We are excited to see where the AppExchange takes Passage Technology and our customers in the future. We continue to invest in the product and continue to see new ways for customers to use the product. We are looking to roll out more in-app and self-service help as well as a robust knowledge-base so that any Salesforce customer can quickly get up and running with any use case. We also now offer a suite called the Helper Suite, which includes indispensable admin tools like Lookup Helper and Rollup Helper. With the AppExchange, the sky is the limit and we’re excited for the ride here at Passage Technology.